Are you looking for special offers and hotel all inclusive on the Amalfi Coast, in the enchanting town of Praiano? Surrounded by the scent of lemons and the enchantment of the sea, Hotel Torre Saracena is one of the best hotels on the Amalfi Coast! Visit our web site to find our hotel special offers in Praiano on the Amalfi Coast! 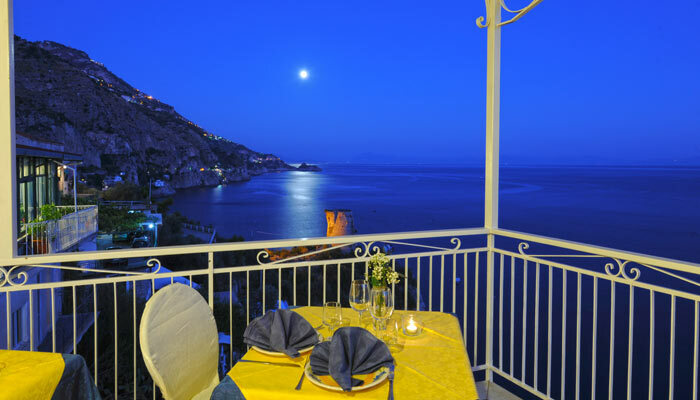 Hotel Torre Saracena is located in Praiano, halfway between Amalfi and Positano, in an ancient and elegant building of the XIX century which is composed of 5 levels and 23 spacious and bright sea view hotel rooms, finely furnished, with private bath and sea-view terrace. It also has private parking, private access to the sea and terrace reserved for hotel guests. Hotel Torre Saracena is the first hotel built in Praiano and the second hotel built in the Amalfi Coast, in a privileged position at the center of the Amalfi Coast at only 7 km from Amalfi and 7 Km from Positano. The Saracen Tower Hotel also offers accommodation in independent villas, some with sea view balcony and all with access to the rooftop terrace equipped with parasols, sun beds and Jacuzzi. Do not miss our interesting all-inclusive hotel special offers! 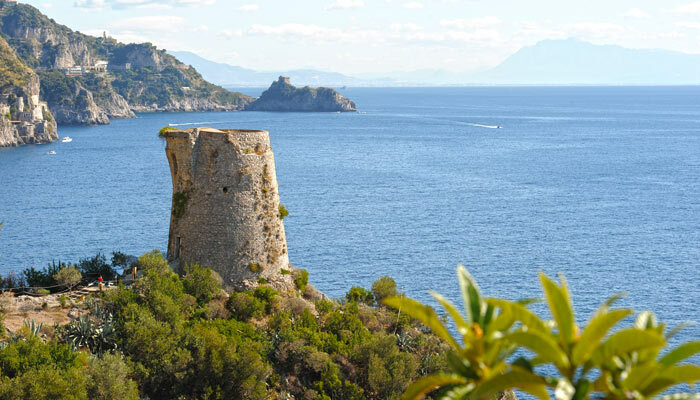 Torre Saracena in Praiano: Hotel Special offers and best deals hotel all-inclusive on the Amalfi Coast! A relaxing a charming holiday in Praiano, on the Amalfi Coast, hotel all-inclusive with our hotel special offers! Surrounded by terraces of fragrant lemon and olive groves of the Amalfi Coast, Hotel Torre Saracena is only 300 meters far from the beach in Praiano and 200 meters from the famous Path of the Gods who come to Positano, which is an ideal starting point for hiking and walks to the nearby tourist resorts of the Amalfi Coast and the Sorrento Coast. The hotel is pet friendly; please contact in advance our staff. Are you looking for hotel special offers for Family holidays on the Amalfi Coast? Book now for your Family holidays on the Amalfi Coast! Contact our staff for hotel special offers! Hotel Torre Saracena is the ideal place for family holidays thanks to its spacious rooms, dining room, terraces and gardens. 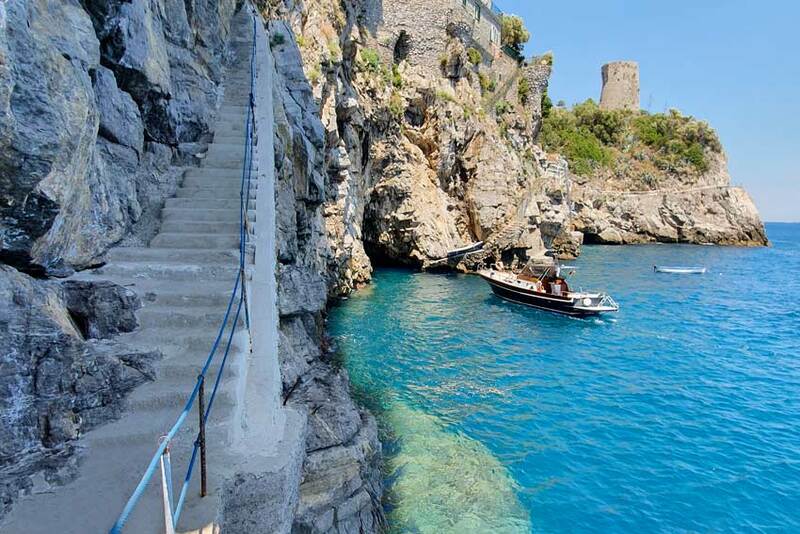 Special offers of Hotel Torre Saracena in Praiano are perfect for your vacation on the sea of the Amalfi Coast to discover the nature walks among the alleys and the stairs of Praiano. Book 3 nights in June, July or September, the total cost of € 360.00 will be double standard room with breakfast buffet, private access to the sea, solarium ; And if you book half board, will cost € 510.00 tasting the typical products of the Amalfi Coast. Book 5 nights in June, July or September, the total cost of € 600.00 will be double standard room with breakfast buffet, private access to the sea, solarium, and if you book half board, will cost € 850,00 tasting the typical products of the Amalfi Coast. 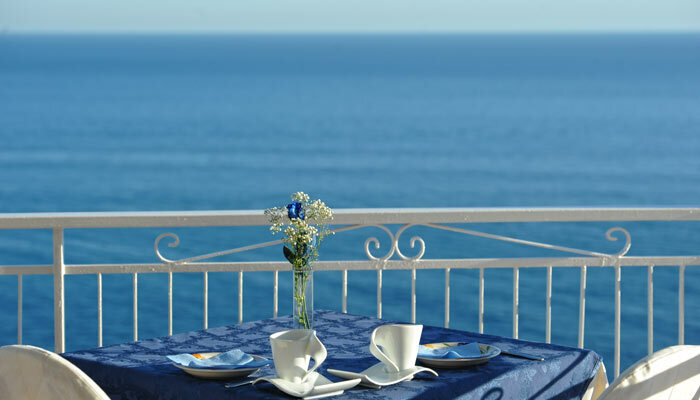 Book 7 nights in June, July or September, the total cost of the room will be € 840.00 with breakfast buffet, private access to the sea, solarium, and if you book half board, will cost € 1.190,00 tasting the typical products of the Amalfi Coast. We offer, 7 nights with breakfast and dinner of fresh local fish on our terrace overlooking the sea by candlelight, transfer from airport / train station in Naples and Salerno, and returning by limousine, mini cruise tour along the beautiful Amalfi Coast with visit of Capri and Anacapri, Isola Faraglioni and the Gauls (full day) the total cost of € 800.00 per person.